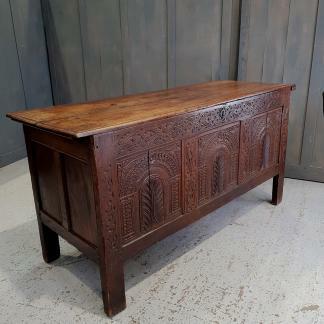 Oak and Oak Veneer, nice colour. 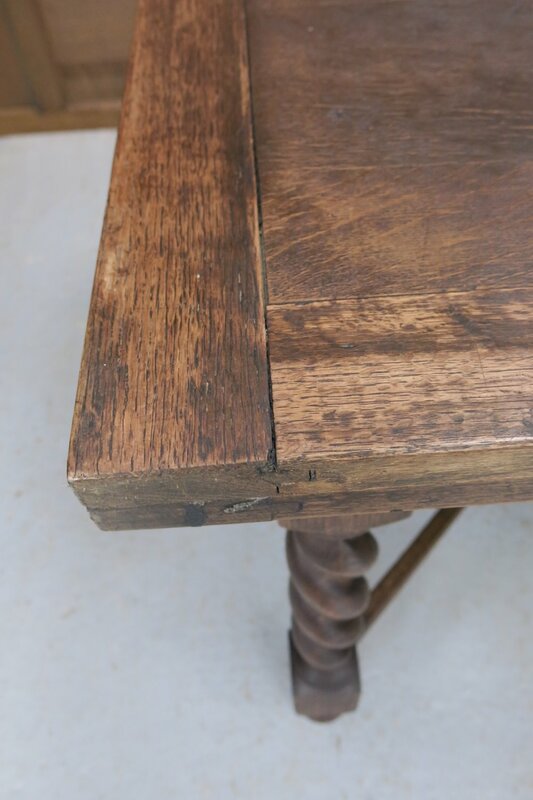 Top not perfect but has been repaired by us and table is strong. 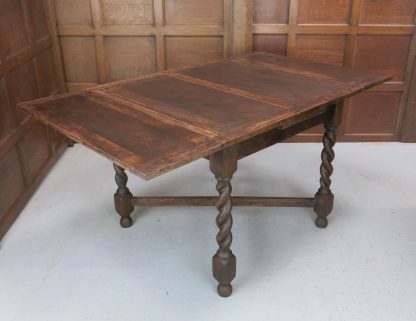 Perfect for pubs with sea bass on the menu. 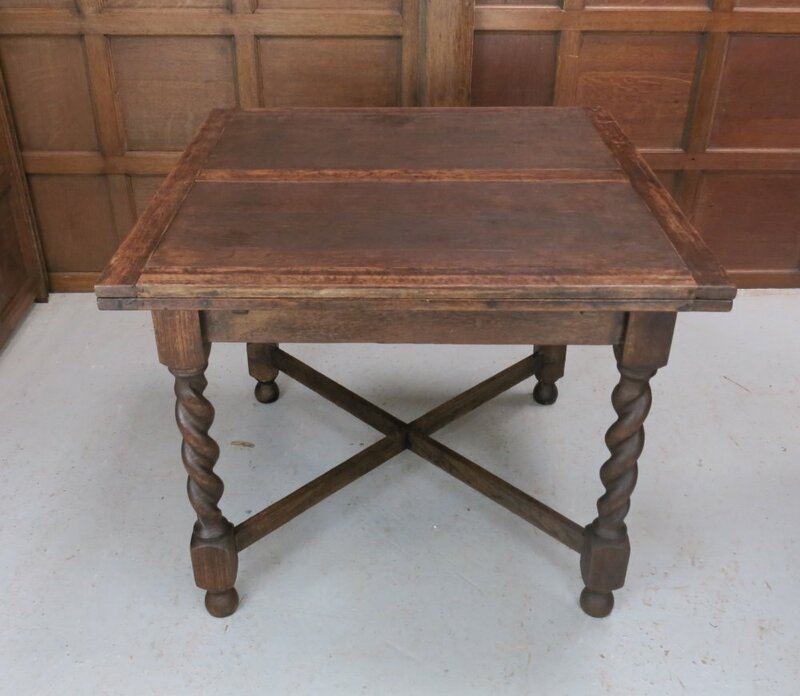 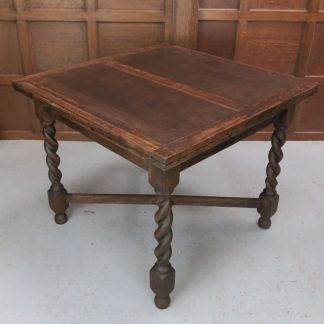 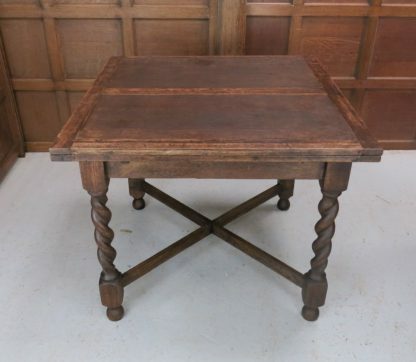 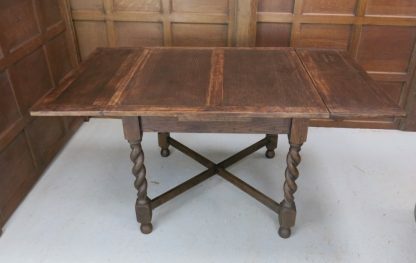 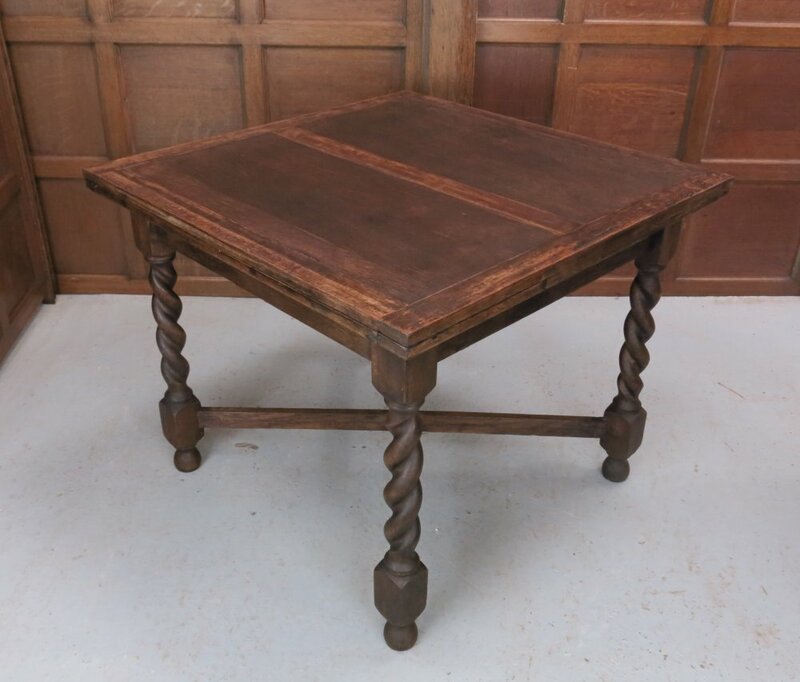 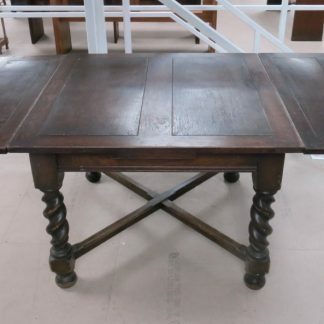 Please Note: For large items including this Standard Dark 1930’s X Frame Barley Twist Leg Draw Leaf Table delivery can take up to 2 weeks for most parts of mainland UK.